Born in 1938 of Joseph J. and Loretta T. McLaughlin in Philadelphia, Father McLaughlin was baptized at St. Athanasius Church, Philadelphia and confirmed at Holy Angels Church, Philadelphia. After graduation from Saint John the Baptist High School, Philadelphia in 1956, he matriculated at LaSalle College, Philadelphia, as a mathematics major. In September, 1958 he matriculated at Saint Charles Seminary, Overbrook. He was ordained a priest by John Cardinal Krol at the Cathedral of Saints Peter and Paul, Philadelphia, on May 21, 1966, the same month he received an M.A. in mathematics from Villanova University, Villanova, PA.
After a year as assistant pastor of St Hilary of Poitiers Church, Rydal, PA, Father McLaughlin was appointed professor at Cardinal O'Hara High School, Springfield, PA. In June, 1975, he was appointed principal of Lansdale Catholic High School, Lansdale, PA; in June, 1981, principal of Little Flower Catholic High School for Girls, Philadelphia, PA; and in June 1988, principal of Cardinal O'Hara High School, Springfield, PA. He was appointed Pastor of St. Vincent de Paul Parish in June, 1993, succeeding Rev. William T. McBride, our founding pastor. 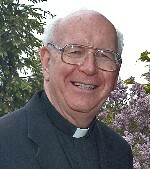 In 1968 Father McLaughlin began studying, then teaching, computer programming. In 1982 he began writing the JEN-A-SyS software package, now maintained and expanded by others, which is still used for tuition accounting, grade reporting, attendance, etc. in the secondary schools of the Archdiocese of Philadelphia. His programming skills are in C, COBOL and UNIX shell-scripts and utilities (e.g. awk). 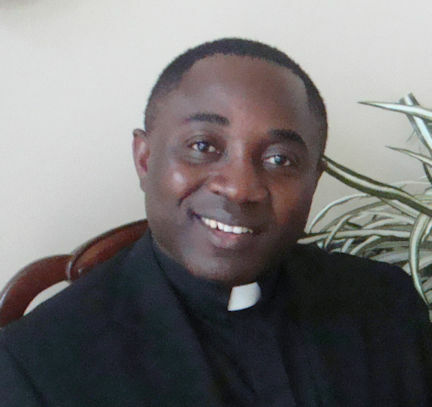 Father Linus was ordained in 2000 as a priest for the Archdiocese of Tamale in northern Ghana, Africa. He subsequently transferred to the Apostolic Vicariate of Donkorkrom, also in, Ghana. He came to the United States in 2005 to study. Here he earned two Masters degrees, one in Pastoral Theology at Loyola Marymount University (Los Angeles, California), the other in International Law and Human Rights at St. Thomas University (Miami, Florida), and a Ph.D in Philosophy with a specialization in Conflict Analysis and Resolution from Nova Southeastern University (Fort Lauderdale, Florida). Father Linus visited our parish in July, 2014, and moved into the rectory in December of that same year. In February, 2015 he was officially appointed as our Parochial Vicar. 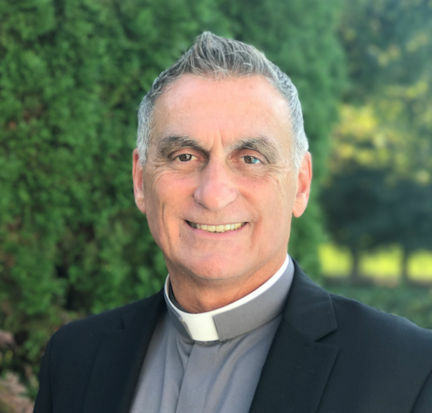 On June 10, 2001, Anthony Cardinal Bevilacqua ordained parishioner Jack Golaszewski to the permanent diaconate and appointed him to diaconal ministry in the parish. Deacon Golaszewski is the first parishioner to be ordained to the permanent diaconate, and the first to serve in the parish. 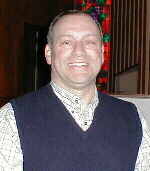 In January, 2003, Deacon Golaszewski became the Business Manager at St. Vincent de Paul Parish. He served in that position until retiring in November, 2009. Deacon Rich was ordained in 2011 after completing his diaconal formation at St. Charles Seminary in Philadelphia. He was assigned to St. Andrew's Parish in Newtown for six years until discerning a call in 2017 to return to his home parish of St. Vincent's. While at St. Andrew's he was co-director of the Christ Renews His Parish (CRHP) retreat program for men and women in addition to his normal deacon duties. With his background in business and his former life as an atheist, he has counseled many parishioners at St. Andrews who had either a career challenge or doubts regarding their faith. Rich is married to Janet for close to 40 years and together they have three grown children and four grandchildren. Rich has been in the software industry for 40 years and is currently a full-time CEO of a 500-person software engineering company with offices in Newtown and several other cities in the US and India. Rich has his MBA in Finance from New York University and his BS in Computer Science from Stony Brook University. Rich is in his early 60s and lives right here in Richboro with Janet. They are both delighted to be back to their home parish of over 20 years where they have many fond memories. 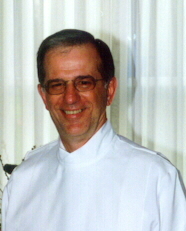 On June 6, 2004, Justin Cardinal Rigali ordained parishioner Bill Iacobellis to the permanent diaconate and appointed him to diaconal ministry in the parish. Bill first felt the desire to become a deacon 16 years ago when he and Terry lived in Connecticut; however, his work schedule at the time prevented his entering the program in Stamford. Then a career oportunity brought the Iacobellis family to Pennsylvania and to our parish. Two years after moving to Richboro, Bill began studies in the Church Ministry program at St. Charles Seminary — he attributes to Divine Providence both his personal growth since the time of his first "call," and a new work schedule that allowed him to attend class. After two years of the Church Ministry program, Bill was accepted into the diaconate program. His wife, Terry, accompanied him in his journey, attending classes, workshops, and days of recollection. Academic studies in Scripture, Christology, Moral Theology, Liturgy and Sacramental Theology provided both challenges and blessings. Due to health concerns, Deacon Bill retired in May, 2017. Diana and her husband, Rush, have been parishioners since 1994. They have three daughters who are actively involved in the parish. Having served as a member of our Finance Committee for five years, she became the parish's Business Manager in December, 2009. The Shermans are a volunteer foster family for future "seeing eye" guide dogs for the blind. The dogs, bred for size, temperament and intelligence and rigorously screened, are placed with the family after they are weaned and kept until they are about 16 months. If all goes well, they will someday be the constant companion of someone who is blind. Jeanne was born in North Attleborough, MA, daughter of Jeanette Poulin Rondeau and Omer Rondeau and was raised in Pawtucket, RI. She graduated from St. Cecilia's School, Pawtucket; St. Mary Academy, Bay View, Riverside and Katharine Gibbs Secretarial School, Providence. In 1966 Jeanne married Robert Flowers from Salem, MA. 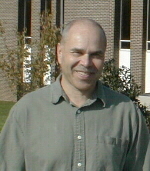 Bob graduated from Bryant College in 1973 and moved the family to Darby, PA in 1973. The family moved to Richboro in March, 1977. Jeanne is the mother of Brian (Karen), who resides in Rumford, RI, and twins, Amy and Jason (Bonnie). She is the grandmother of Alex, Luke, Mary and Michael. 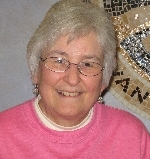 A member of St. Vincent de Paul Church since 1977, Jeanne was named Parish Secretary in May, 1994 by Father Joseph J. McLaughlin. She has coordinated the parish's monthly Meals for the Homeless Program for St. John's Hospice in Philadelphia since 1990, served as the Senior CYO Adult Advisor for three years, served as a Lector and Minister of Hospitality, and is currently an ex-officio member of the Parish Pastoral Council. Jeanne has keen interests in Our Lady's Apparitions, especially Our Lady of La Salette, Bible Study and in icons. SoNata Stevenson began her ministry at St. Vincent de Paul Church in March, 2013. She leads the Teen Music Group which ordinarily provides the music for our 6 P.M. Mass on Sundays. SoNata is an organist, pianist, conductor, vocalist (opera and sacred music), accompanist, violinist, recording artist, singer-songwriter, arranger, teacher and composer. 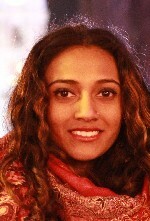 At present she is continuing her studies in music performance and education at Temple University. She has experience as an organist, choir director and music director at several churches in the city of Philadelphia. 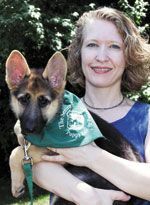 At the end of the 2003-2004 school year, Susan Hesketh assumed the role of Director of our Pre-School, taking over the reins from Josephine Braunlich, founder and first director of the program. Susan was born in Lawrence, MA on January 15, 1950. She was raised and educated in North Andover, MA. Susan graduated from Perry Normal Teaching School in 1971. She taught 2nd grade at St. Patrick's in Lawrence, and Kindergarten at Atkinson Elementary in North Andover. On August 29, 1971, Susan married Stanley Hesketh, Jr. from Cambridge, MA. They have four wonderful children: Daniel 5/1/75, Sarah 11/20/76, Matthew 5/5/79 and Kathleen 2/19/92. The family moved to Richboro in August, 1979. 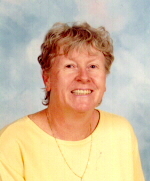 A member of St. Vincent's since 1979, Susan taught in the Pre-School Program from 1982-1992. She took a few years off to raise Katie. She returned to the Pre-School on 9/11/2001 — a day we will all remember! "Being a part of St. Vincent's has given me a wonderful feeling of love and friendship that will last a lifetime." E-mail: gmueller@nni.net. Gary Mueller, often behind the scenes, provides the parish with well-cared-for buildings and grounds. He enjoys working with his hands, and has the managerial skills to get the best price for supplies and identify the best contractor for major repairs or improvements. Gary and his family moved into the parish in 1984. He and his wife, Sue, have been very much involved in our Parish Conference of the Society of St. Vincent de Paul. Gary assumed his present position in November, 2003. His weekly column in the Parish Newsletter, Gary's Yankee Workshop is a parish favorite.